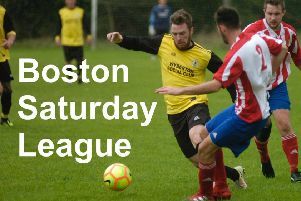 Wyberton will be looking to pick up six points as they face a league double. The Villagers host Sleaford Sports Amateurs at The Causeway this evening, followed by Saturday’s arrival of Brigg Town Reserves. Tonight’s Balcan Lighting Supplies Lincolnshire League contest kicks off at 6.30pm, with the weekend clash beginning at 3pm. Wyberton will conclude their schedule on April 28 when Grimsby Borough Academy are the visitors. Wyberton hit double figures as they left Brigg Town Development with a 12-3 victory. Lee Beeson, Curtis Revell and Shane Brackenbury each grabbed hat-trick against the Lincs League’s basement boys. Nathan Wright, Josh Wood, Scott Dawson were also on target.